Russia is a major producer and exporter of oil and natural gas. According to BP, the country holds the world’s largest proven natural gas reserves (18.1% of the total) and ranks sixth in terms of crude oil reserves (6.4% of the total). 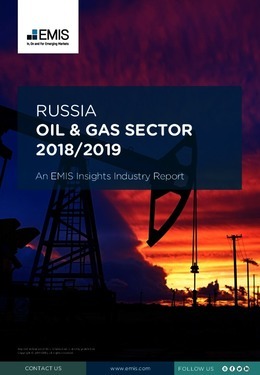 The Russian economy is highly dependent on the oil and gas sector as it accounts for 40% of its budget revenues and is responsible for 8% of GDP. The EU is the main export market for Russian oil and gas, but as political relations sour, Moscow is pursuing a policy of diversification, with China its main target market. Russia’s oil and gas production and pipeline network are dominated by state-run companies. The government regulates both natural gas prices and oil and gas pipeline transportation tariffs. This report provides a complete and detailed analysis of the oil and gas sector for Russia. EMIS Insights presents in-depth business intelligence in a standard format across countries and regions, providing a balanced mix between analysis and data.